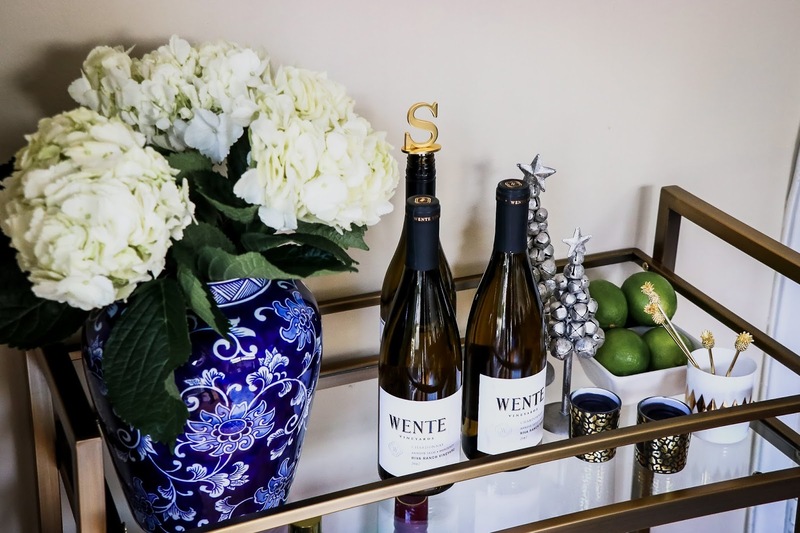 Disclosure: This post is sponsored by Wente Vineyards but the content and opinions expressed here are my own. 'Tis the season to celebrate and make merry and if 'entertainer' is your middle name then you are just about to hit a jackpot. 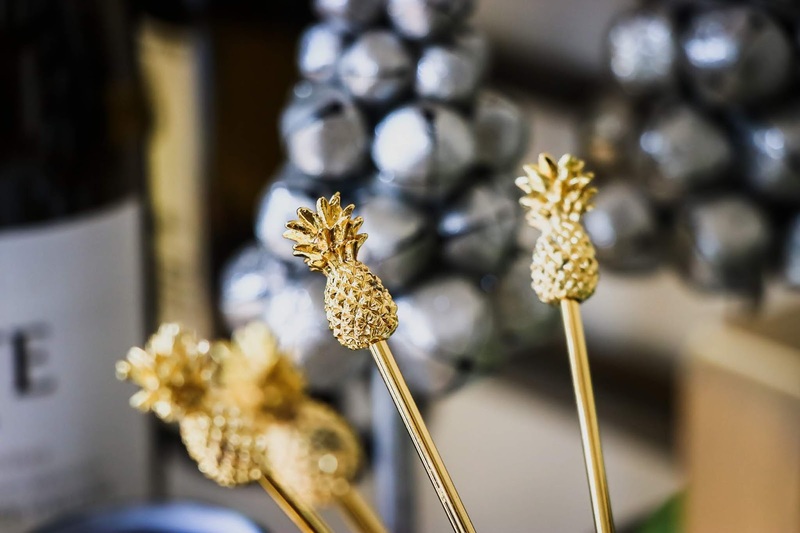 Both hubs and I love to entertain and with the holiday season in full swing we have been gearing up for hosting. Unlike India where you always have to be hands on to host guests who arrive unannounced, here you get plenty of time to plan and prepare. In retrospect Indians are great hosts and always welcoming, partly due to the domestic help they have. But here where everything needs to be done with your own two sweet hands, planning and prepping becomes essential. I am sure we all get cold feet and hands when it comes to hosting and entertaining, specially when there is so much to accomplish in so less time. Today I am sharing some foolproof tips on how to stay ahead in the game to help you beat all those hosting blues- basically a Holiday Survival Guide for being the hostess with the hostess! A funny quote "Best friends don't care if your house is clean, they care if you have WINE"! 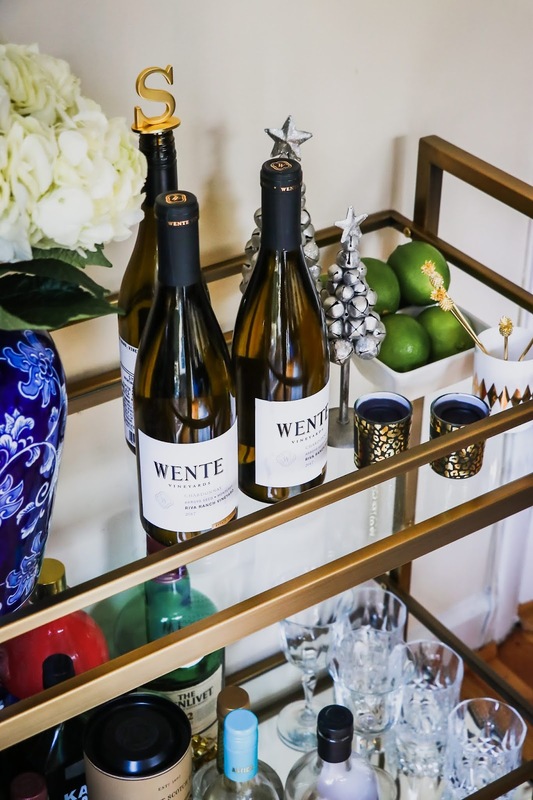 Undeniably your bar cart or bar cabinet happens to be the most visited spot when hosting, so why not keep the beverage flowing. Always stock up on essentials like water, sparkling water, juices that don't need refrigeration, cocktail mixers and assortment of wines of course. 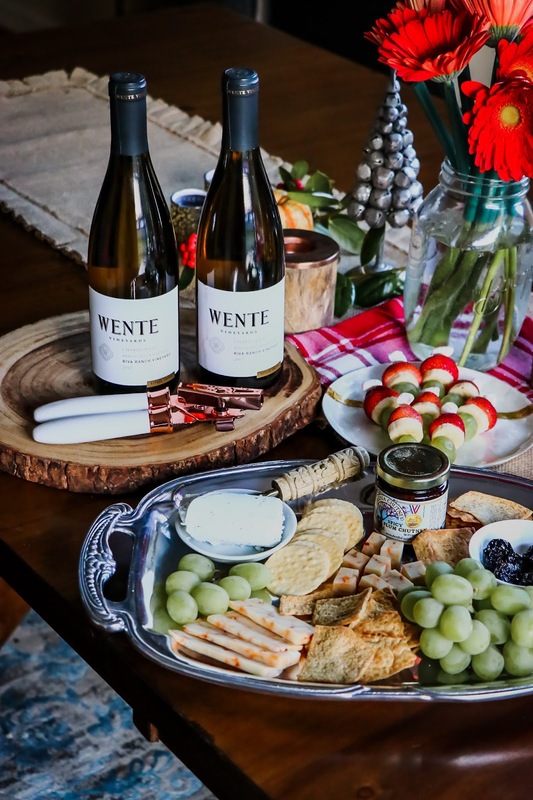 This year I am welcoming home Wente Vineyards wines specially their Riva Ranch Chardonnay, as white wines pair well with Indian flavors. The Riva Ranch Vineyard Chardonnay is a beautifully rich, yet balanced California-style Chardonnay that represents what the Arroyo Seco appellation has to offer. In addition to classic Chardonnay flavors of apple and pear, Arroyo Seco fruit consistently provides aromas and flavors of tropical and stone fruits. This is a distinctly robust and full-bodied Chardonnay perfectly balanced with ample acidity and ripe fruit character. I like my wine chilled and if you are have extra time on hands, then try out this white wine rainbow Sangria. Pronounced as sha(r)KU-tairee, this tray is the perfect medley of sweet and savory. One can never go wrong with a Charcuterie tray. Kids or adults, this seems to be popular with every age group. 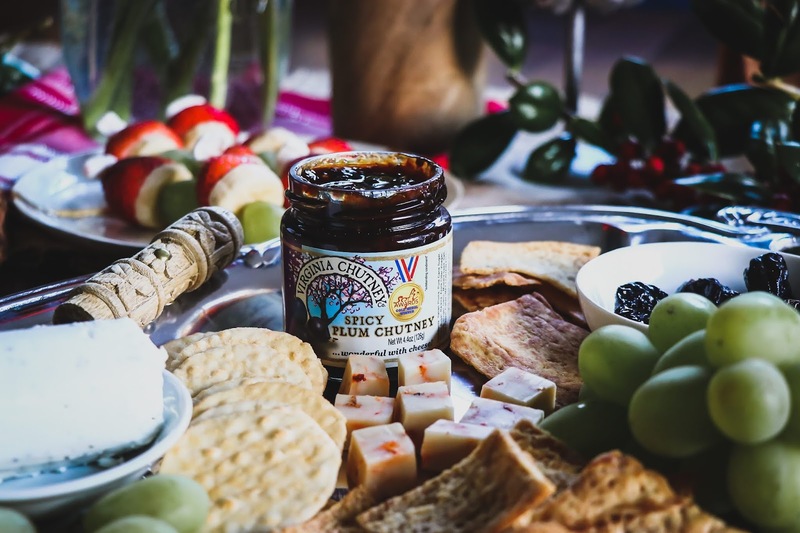 There are five major components of a charcuterie board, namely cheese, crackers, nuts, salami and dips and you probably might even have all of those in your pantry like right now. There is nothing fancy involved, just an eye-appealing appetizing presentation of the aforementioned ingredients and you are sure to rack up compliments. 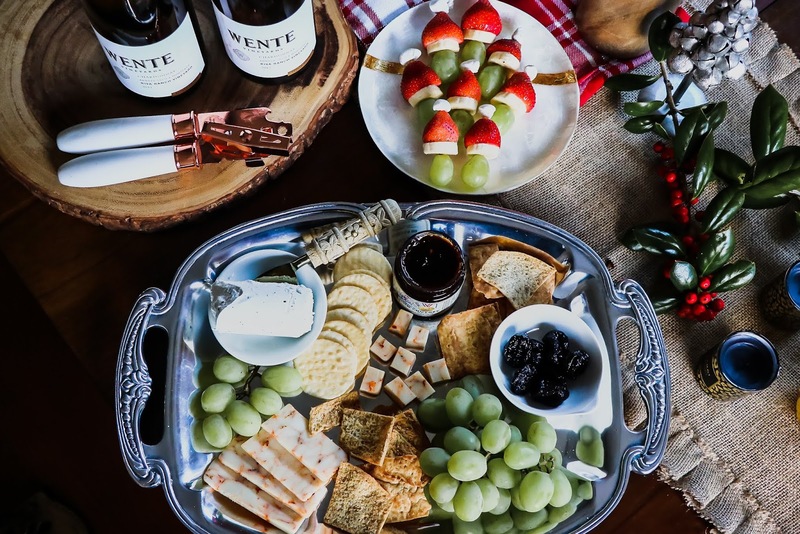 Check out this post for a detailed, step by step guide to curating a cheese party platter. After food and beverage, presentation matters. I am the detail-oriented types and for me every little detail counts. Earlier, I used to stress about having coordinating everything, from linen to plates, to silvers and beyond. I would adhere to a color scheme and place things accordingly. If I was using silver dining sets, everything would be in silver. I swear this wasn't practical both storage and budget wise. But now I've learn't to mix and match. 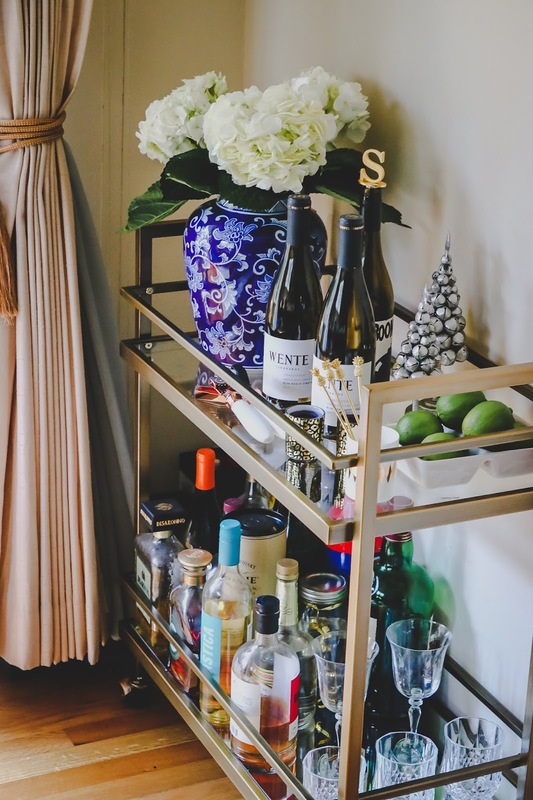 For instance both my bar cart and tablescape have gold, silver and copper touches and everything looks well put together. So don't be afraid, there is no set rule for how you set your dinner table. Let your creative juices flow and have fun with colors and textures. Nothing adds uniqueness to a set up more than a personalized/monogrammed piece. I have been personalizing random things like Riri's lunch pack, handbags, towels, candles and what not. 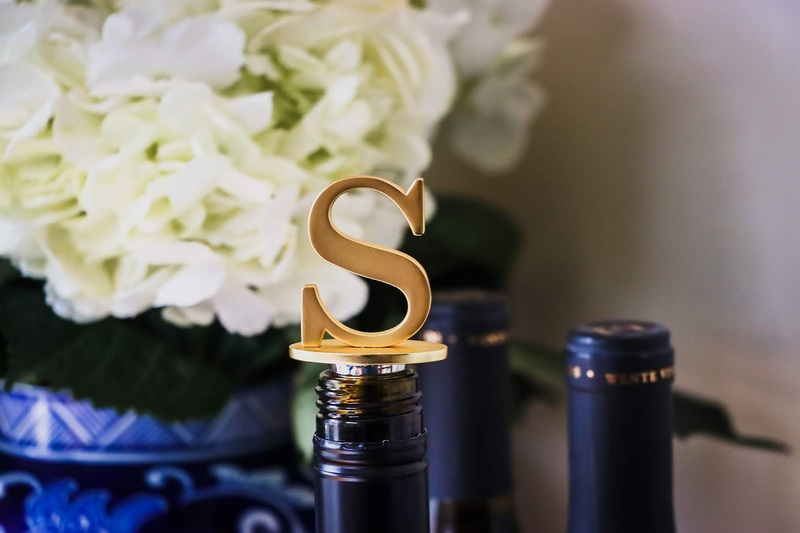 For instance the letter 'S' wine stopper ( call it my initials or a family name initial ) was an impulse purchase that hubs loved and ever since then I have been on a mission to collect personalized pieces. Wait till you see the table napkins that I have sent for personalization. You don't have to spend a fortune to have things personalized, most of the stores either do it complimentary with certain items or for a mere 10-12 bucks you could have your item monogrammed: a win-win in my books!